Coffee memes come from a place of shared experience, which is why they're so widely used. Even if someone doesn't drink coffee, and hasn't ever experienced what it's like to take that first sip in the morning, it's still a concept that almost everyone is familiar with. Most of us probably don't turn into psycho killers when the coffee runs out, but it's a finer line on some days than on others. The floor might not actually be lava, but we'd be fine even if it was. We've got coffee. The chicken and the egg paradox is old news. The real question is how are you supposed to wake up to make coffee when you need coffee to wake up. A dinosaur with a rocket launcher riding a shark is fine and all, but can it push you through Friday and into the blissful embrace of the weekend? Coffee can. It's amazing how a cup of coffee can turn your whole outlook around. Warning: Do not substitute jumper cables for coffee. Jumper cables may not electrocute you, but if even coffee isn't getting the job done, it might just be one of those days when crawling back into bed is the only possible solution. When the server asks if you want soup or salad, it's okay to reply "coffee," right? I've come to sip on you again. Who Needs a Fairy Godmother When You've Got a Magic Potion? I guess the carriage turning back into a pumpkin is the 2 p.m. slump in this metaphor. You're Awake and It's Time to Go to Work, Surprise! 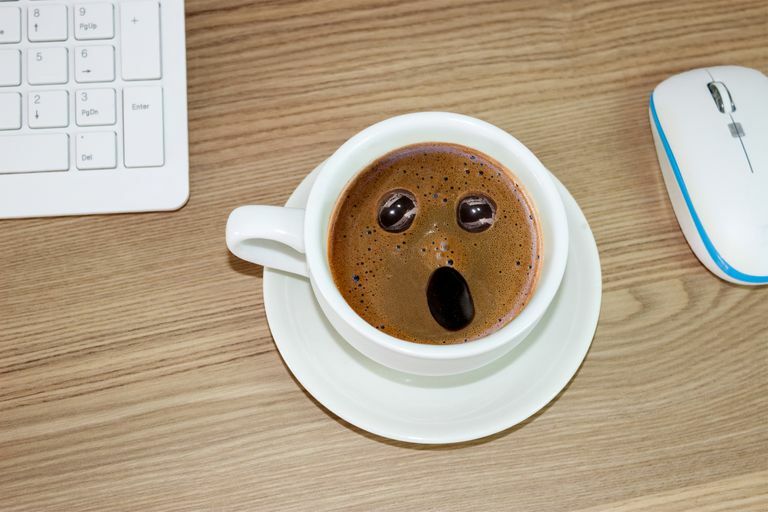 ​The best part of waking up is an adorably surprised face in your cup. It seems like they're putting pugkin spice in everything these days. This might just be an even worse idea than the jumper cables. Apparently this guy never met the Red Bull lemur up there. The day someone invents coffee that can run away is the day the world comes to an end.